Discussion in 'Effects, Pedals, Strings & Things' started by Nacho Strato, Feb 11, 2012. 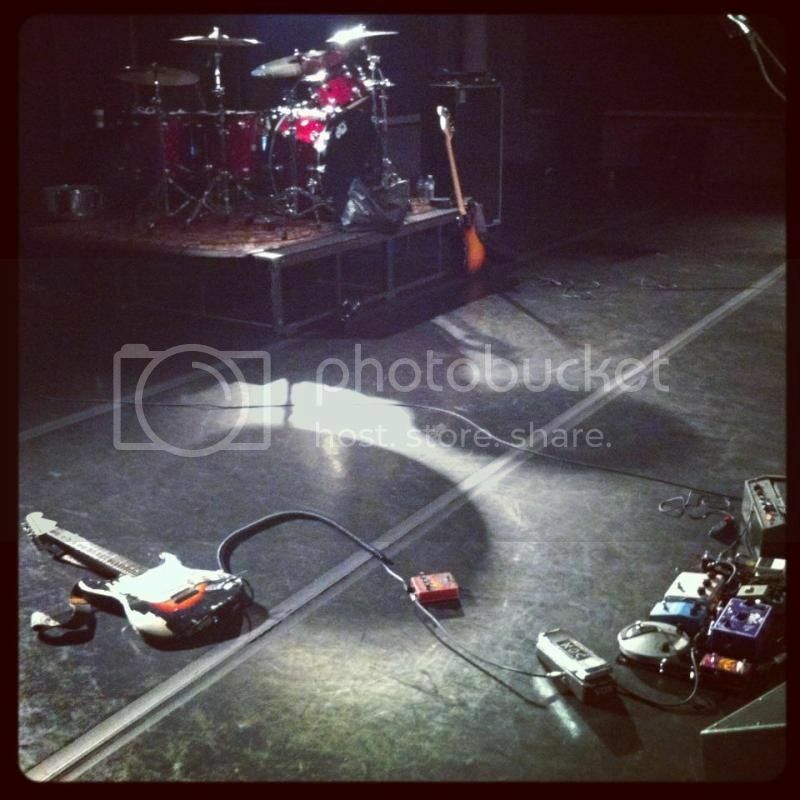 Found this shot of his rig at rehearsals for his upcoming album/tour. Just wondering what the first pedal is, on the floor? It could be, but I don't remember Fulltone ever painting their early pedals that were in hammond enclosures. Didn't they normally leave them blank with transparent labeling? Ya, the only picture I found was of an unpainted hammond box... could it be a custom paint job? Otherwise, it looks the part. Must sound amazing, considering the awesome fuzzes he already has! It does make sense...Philip likes to swap around the fuzz/wah positions and if you look at the pick the supposed 69 is before the wah and right after it is his old Si Fuzz Face...also he is a Fuzz Face junkie. considering that i have the rest of his board committed to memory. . . .i'm surprised i've never seen that one before. . .
i'll go ask and see if he responds. 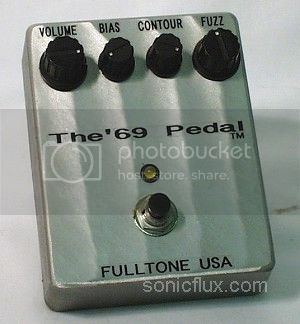 . .
For what it's worth, I have seen early Hammond box Fulltone pedals, such as the '69 and Octafuzz that were painted. It'd be from around '94-'95 I think. The first Guitar Player review of Fulltone pedals included a picture of the ones painted in this style. Here is a hand painted Deja Vibe for example. There were handpainted 69's and they were red. Check the April 1993 issue of GP for more pics. No, thats his personal Diaz Square Face which is much smaller and has only 2 knobs. Gotta be a Fuzz Face..we are talking about Philip Sayce...it really has to be a fuzz face. The Diaz Square Face is directly above the Fuzz Face. I wonder if this early '69 is a sort of replacement? Anyone have any info on the trannies? NKT 275s? Didnt early 69's only have two knobs? I believe this is correct. Early 4-knob painted version. It shows a lot of resemblance to the barber trifecta as well....? Very true, thanks for pointing that out! Must have missed it.